In the passage above, the phrase “For I am not ashamed” translates “Οὐ γὰρ ἐπαισχύνομαι.” Οὐ or ou is expressing an “absolutely negative” statement by the Apostle Paul. The verb ἐπαισχύνομαι or epaischunomai is in the present tense, indicative mood, middle voice case. The verb ἐπαισχύνομαι means, “to be ashamed, embarrassed, fearful of ridicule” because of one’s actions or beliefs. This verb generally does not carry the connotation of being ashamed of the wrong things one has done. This verb case asserts something that is occurring while the speaker is making the statement. Paul is, therefore, telling the Romans and us that he is NOT ashamed, embarrassed, or fearful of ridicule and will, therefore, preach the good news when he comes to Rome. Now, this does not mean that he believes he will be spared persecution or ridicule or embarrassment, et cetera for being bold for being obedient to his calling. Remember my brethren; our Lord said plainly that he did not come to bring peace to the earth, but a sword (Matthew 10:34). Therefore, those whose mission it is to proclaim the good news of our Lord Jesus Christ are to have this same determination, this same boldness, this same willingness to take up one’s own cross and follow Jesus regardless of the cost. In this post, I compared the interview done by Martin Bashir with Tim Keller to promote Keller’s new book The Purpose for God with the offense of the gospel. The reason I did that was that by all appearances, Tim Keller seemed to be nonplused with some very direct questions from Martin Bahsir having to do with the exclusivity of the gospel. I read one comment on another site that said that it appeared that Tim Keller was doing a poor job of gospel contextualization. The Gospel We believe that the gospel is the good news of Jesus Christ—God’s very wisdom. Utter folly to the world, even though it is the power of God to those who are being saved, this good news is christological, centering on the cross and resurrection: the gospel is not proclaimed if Christ is not proclaimed, and the authentic Christ has not been proclaimed if his death and resurrection are not central (the message is Christ died for our sins . . . [and] was raised”). This good news is biblical (his death and resurrection are according to the Scriptures), theological and salvific (Christ died for our sins, to reconcile us to God), historical (if the saving events did not happen, our faith is worthless, we are still in our sins, and we are to be pitied more than all others), apostolic (the message was entrusted to and transmitted by the apostles, who were witnesses of these saving events), and intensely personal (where it is received, believed, and held firmly, individual persons are saved). Compare that with Tim Keller’s reaction under fire from Martin Bashir. 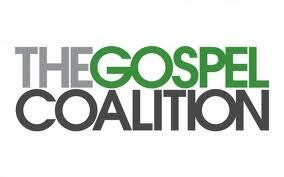 Yes, Tim Keller is a member of the Gospel Coalition. This post is a call to the Gospel Coalition to put its house in order and deal with Tim Keller on this issue. Is he with you on your central tenet (the gospel) or not? If he is then what is up with this sort of behavior? I read another comment on another discussion site about this in which one fellow, taking up for Tim Keller, said, “You catch more flies with honey. He was obviously not trying to offend anyone.” Uh, what about what our Lord said and what about this call for boldness in the face of persecution? If this was a case of gospel contextualization then it obviously shows the fallacy of that. God is sovereign in salvation, top to bottom. When men play games with it, then you have sorry episodes like this. The Gospel Coalition is attempting to portray itself as a solid base of sound theology and gospel integrity in a sea of apostate churches. If that is the case, then their house must be set in order concerning Tim Keller very soon or their credibility is nil. Who Can I Contact At The Gospel Coalition?